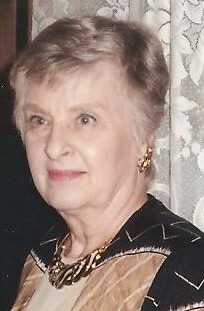 Maxine L. Daniels, 92, passed away May 25, 2018, in Woodway, Texas, where she resided with family friends. She was the widow of Charles Spencer Daniels. Maxine was born August 12, 1925 in Indianapolis to the late Herbert Bonner and Betty VanPelt Bonner. During her many years in Woodbury, Maxine worked in the Mitchell elementary school office and then in the business office at the high school. In the mid 60s, she and Spencer relocated to Southern California where she worked at Palos Verdes High School. They then ‘retired’ to Las Vegas where she resided for 27 years. Maxine was predeceased by her daughter, Donna Daniels Wood, and her brother, Jack D. Bonner. She is survived by one grandson, Kevin Eugene Wood, of Brookshire, Texas and numerous nieces and nephews. Calling hours will be held September 15, 2018 at 10 a.m. at the Woodbury Munson-Lovetere Funeral Home. A Memorial service will be held at 11 a.m. with burial at the South Cemetery in Woodbury immediately following. To leave an online condolence for the family, please visit munsonloveterefuneralhome.com.